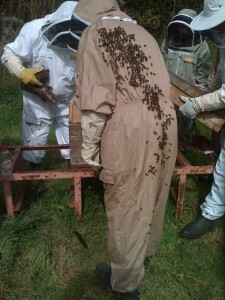 It wasn’t the warmest day we’ve ever seen in May but for once at least the sun was shining as Moray Beekeepers gathered for their annual visit to the hives at Pluscarden Abbey near Elgin. The setting was as beautiful and inspiring as ever and it wasn’t long before beesuits were donned, smokers were lit and 4 groups led in turn by Tony Harris, Andy Watson, Tom Baulch and Gerry Thompson headed off to inspect the Abbey’s hives. 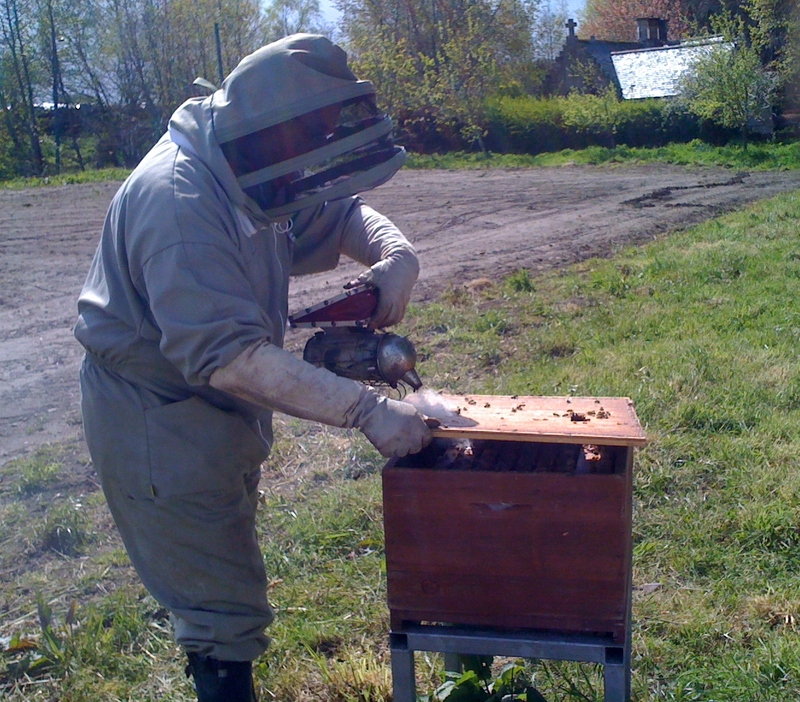 Inspections were fairly uneventful although a few of the hives (cared for by local beekeeper Rob McKenzie) needed fed as they were running low on stores after the long cold snap we’ve had. 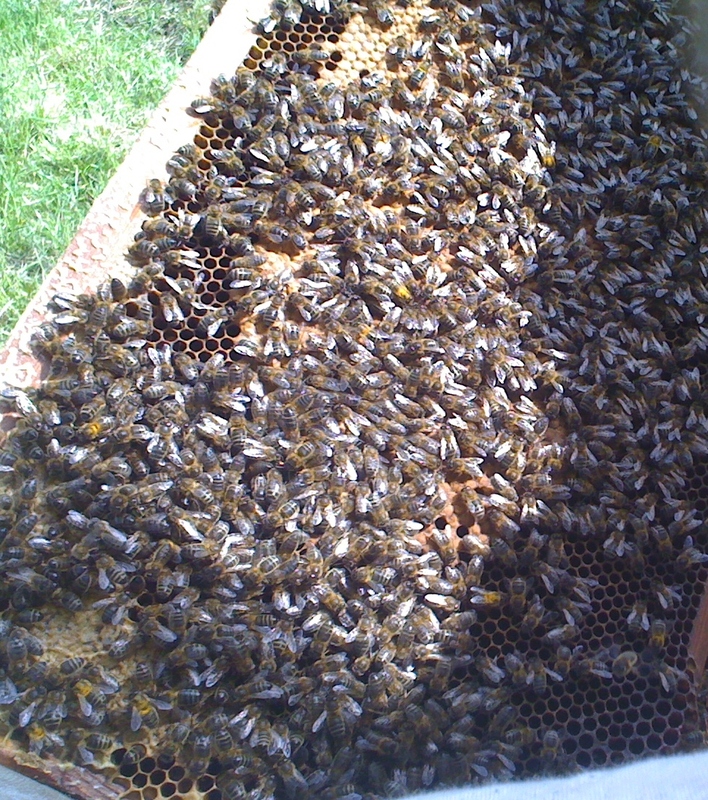 The Abbey uses Modified Dadant hives and the sight and weight of a full frame in one of these hives is impressive indeed. 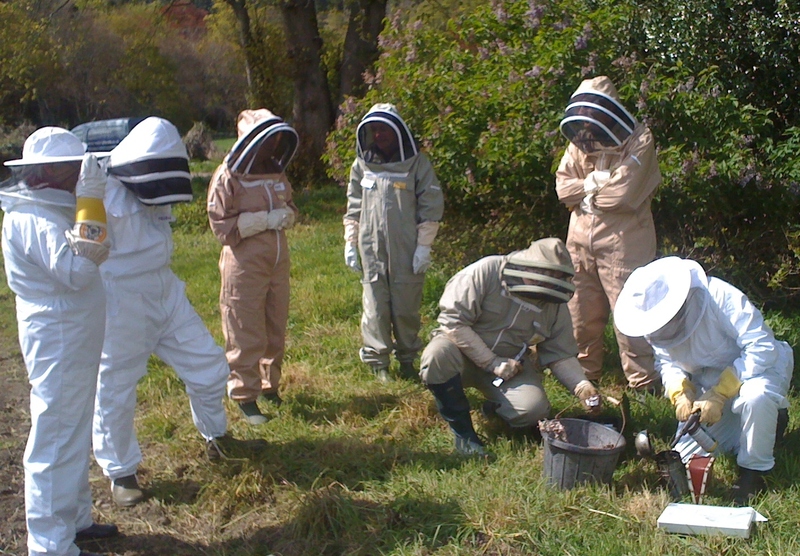 We had quite a few novice beekeepers with us and a couple weren’t sure where to stand in relation to the bee hives. Don't stand in the flight path! 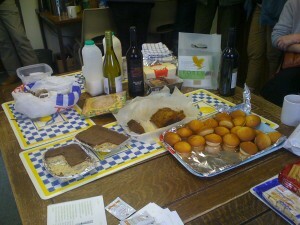 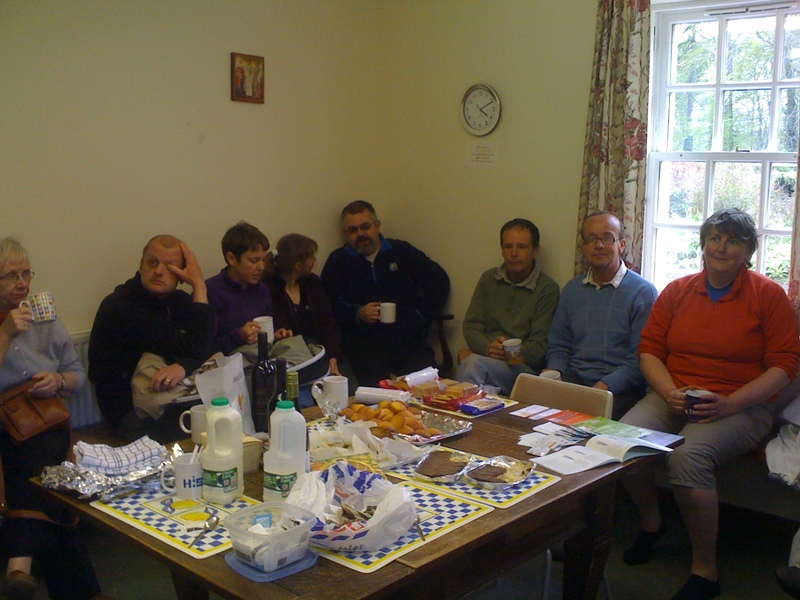 After that it was back to the Abbey for a well earned cup of tea and a cake baked by committee member Anne Black.